There's another reason the sole female member of Black Eyed Peas came to Manila, aside from the group's major concert--and it smells good. Thousands of Filipino fans gathered at the SM Mall Of Asia concert grounds last week, October 25, for the Black Eyed Peas concert. Cosmo was there to witness the pop group perform all their hits and keep the audience dancing and singing all night. Fergie definitely stole the show, and while we can’t really emulate her stage style in our everyday wardrobe, we can, however, actually let some of that concert queen vibe rub off on us with a spritz of her latest scent, Outspoken Intense (P999), which became available through Avon ladies only yesterday, November 1. Concert goers already got the chance to sample the new fragrance at the Fergie Outspoken Intense booths within the concert grounds. 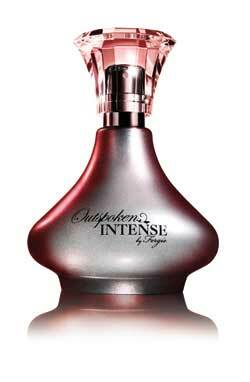 Outspoken Intense by Fergie is a provocative follow-up to the original Outspoken, which was released last year. This head-turning new floral fruity fragrance gives you that extra boost of confidence and sexiness to face each day with an added spring to your step. “I’ve always known I wanted to do a lot of great things and creating a fragrance is one of them. When I developed this fragrance, I really wanted women to feel strong, confident, and not be afraid to be themselves. As women, it is important that we stay true to ourselves and our beliefs. And not only say like we mean it, but take center stage and command it,” says Fergie. Hint: It would make a great Christmas present, especially for Fergie and Black Eyed Peas fans! Contact the Avon Customer Hotline at 8642900 or visit www.avon.com.ph to find out how to get in touch with an Avon representative.